We recently got an emergency call from a new client based in Kent. They had experienced an issue with a collection of PDF documents that had been password protected, that they needed urgent access to. The PDF files were encrypted with 256 bit AES encryption and the passwords our client had on record were not correct. 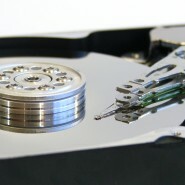 Our client already had a good backup process in place, but these only went back 12 months, meaning there was no other copy of thes files without encryption stored on the company server’s hard drives. We initially planned to try option one, but felt our time would be better spent scanning their workstations and servers for alternative copies of the files. After our initial system scan, we located the files on one machine which had been mothballed due to a fault. We removed the drive from their PC and initially scanned it for errors. Apart from a few issues, the drive was fine. We made an exact copy of the drive to work on and started our data salvage. Having been advised by our client that the documents were PDFs, we didn’t have a lot to go on, but after a little investigation we sourced PDF files that had been previously deleted on the drive as well as that, there had been other files left hidden in a temp folder in Windows. We salvaged 100% of the files required by our customer including deleted files as well as some others that they were not aware of. We resolved this emergency issue for our client within 4 business hours and worked outside of office hours to ensure the data salvage was complete before the start of their next working day. If you are looking for a similar service, please feel free to contact us today.